Luv 2 Stitch: Off to Grand Rapids! 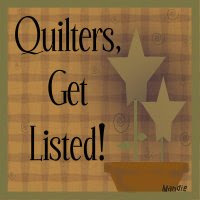 Connie and I are heading to Grand Rapids for the AQS quilt show. We haven't gone to Paducah in a few years, so this will be exciting. The show is in GR for three years (at least). Last week was the August "Sleep At Home" retreat. 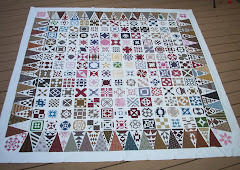 One of the gals was finishing the borders on a Bonnie Hunter pattern. Lots of gorgeous fabrics in this one. We try to have a little group project on Saturday. This time we made quilt tool caddies. The base is a stand-up plastic photo frame. These were fun and easy to make. Added 8/26/12: The tutorial for the tool caddy can be found HERE. Friday was our 44th wedding anniversary. Jim insisted I go to the retreat. In the late afternoon, he delivered a bouquet of chocolate covered strawberries. There were enough to share with the retreaters and still have a few to eat at home. They were delicious. And finally, here's a little pouch I made using a Sweet Pickins pattern from Moda U. Looks like you had fun at the retreat...and what a wonderful bouquet. Thanks for visiting my blog. Have a great time at the AQS Show in GR. It will be in Des Moines the first weekend of October. Can hardly wait! Lovely visit and gorgeous works, keep going ! Love all those fabrics in the scrappy quilt. The arrangement of darks and lights make an interesting design. Nice to see you girls. I won't get to come to Grand Rapids this year, so have fun for me and take lots of photos. Love those tool caddies...is there a pattern somewhere? Have fun at the Show! Happy Anniversary! have fun at the show! Happy Anniversary! What a sweet DH to bring you a chocolate treat at your sewing class! Have a great time at the show and tell us all about it! Happy Anniversary! How sweet of your hubby. I have never been to Paducah, I would love to go someday. Hope you have a great time. That tool caddy is a must have!!! 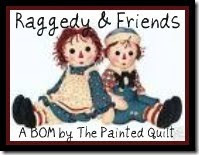 Do you have a pattern...website...Absolutely adorable! Happy Anniversary and let the rest of us live vicariously through you while you're at the show.